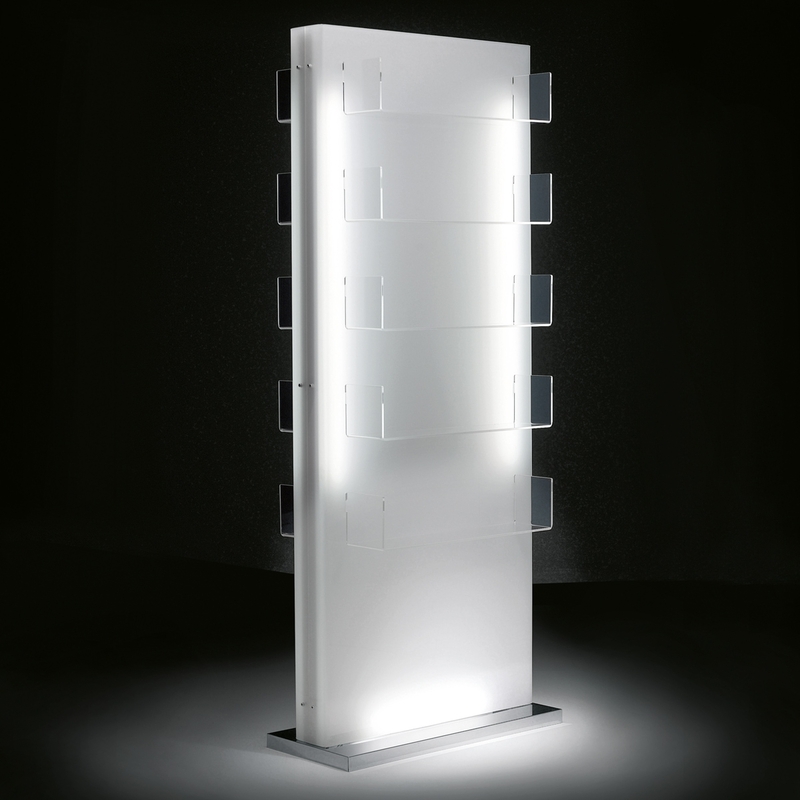 Central acrylic display cabinet with back illumination. Shelves in plexiglass. Base in aluminium. Made in Italy.